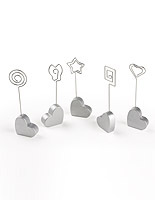 This note clip is a perfect way to hold messages, cards, photos and advertisements. 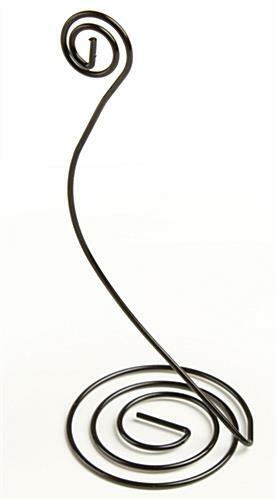 Each stand is made with one solid piece of quality wire. 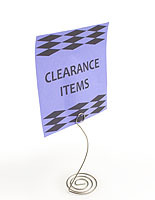 This note clip, also known as a paper holder, is used in a multitude of businesses. Each note clip features a matte black finish that blends with any décor. The small overall footprint takes up very little space on a retail counter or restaurant table setting. 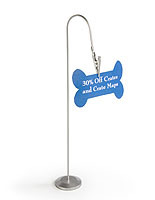 Place this note clip on any focal countertop or tabletop area to further promote a sale or new item. 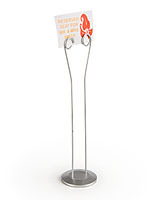 This memo holder is the most affordable and effective way to display important messages. 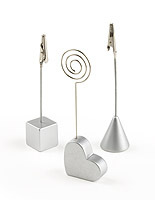 This memo holder, note clip is a versatile tabletop display. 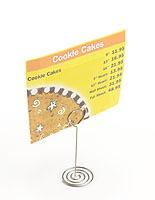 The wire place card holder can be use to present daily specials, advertise special promotions or new items. We sell this note clip in a variety of designs and sizes, in addition to the one seen here as well. 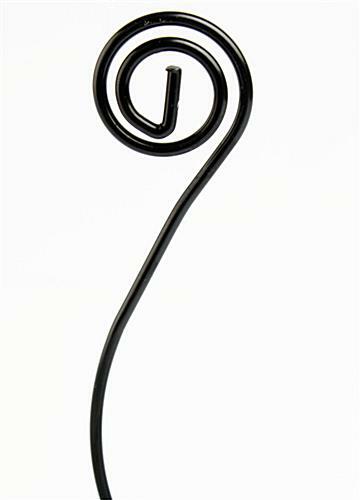 The scrolling accents and curved design make this message holder visually appealing. 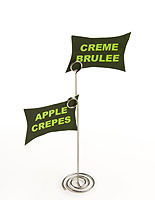 This note clip, like a sign holder or memo display stand, is an effective method of advertising to customers and patrons. 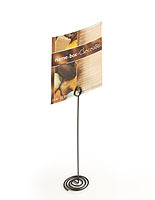 Place this wire stand on a desk at work to display family photos or daily reminders. 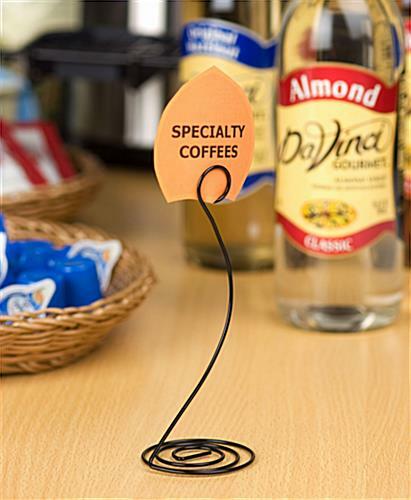 This note clip, such as a memo holder, is widely used in restaurants, retailers, offices and homes.